Children from class 4HM, accompanied by their teacher Mr Hole, visited Bedworth Alms Houses on Friday 4 March to carry out their civic duty as part of the Griffin Schools Trust Founders Day celebrations. The Alms Houses warden, Ann Heyward, had arranged for the children to work under the guidance of the site manager, and had consulted with residents over what they would like the children’s support with. 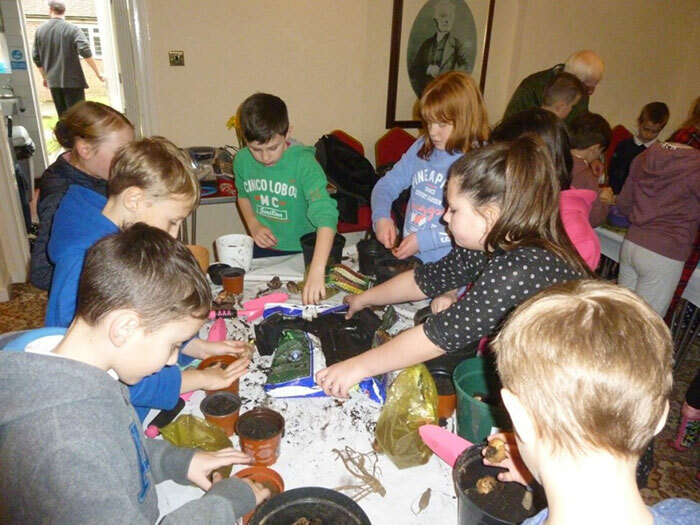 The residents asked if the children could help plant up their garden pots with bulbs. The children thoroughly enjoyed the activity and were delighted to see the pleasure their visit gave the residents. Mr Hole said that they had all received a really warm welcome at the Alms Houses and they appreciated the thought that had gone into providing an activity that not only helped the residents but was also so enjoyable for the children.